Accidents happen to the best of us. Luckily for Chevrolet drivers, Montclair Auto Body in Ontario is prepared to get you through the difficult situation as quickly and as pleasantly as possible. After all, we know how hard it is to get by without a car-you've got places to go and things to do. Moreover, there isn't a Ontario auto body shop more committed to excellent customer service. As soon as you enter our shop, you will be greeted with a friendly smile, and your Chevrolet will be worked on by an experienced, well-trained auto body technician. Our paint specialists are equally knowledgeable and precise when it comes to returning your car's finish to pre-accident condition. 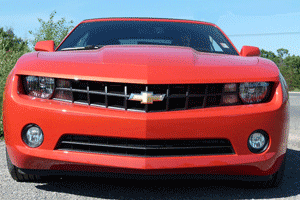 For Chevrolet Drivers in Ontario, We're Your Auto Body Shop! Our shop appreciates that your Chevrolet is essential to your day-to-day life as well as a major investment. Therefore, we will care for your Chevrolet as if it was our own, and we will help you extend your vehicle's life, all at competitive pricing. Come by our shop in Ontario, or contact us online or by phone to make an appointment today!